Why aren’t Muslim and Christian extremists extremely peaceful? The answer lies in the Iron Age setting of the Bible and Quran—when literate cultures replaced the Golden Calf with the Sacred Text. Diplomats, religious leaders, and peacemakers of many stripes keep insisting that ISIS isn’t about Islam. They point to a host of other factors including colonialism, injustice, lack of economic opportunity, and hopelessness. They’re not altogether wrong, but they are missing the tyrannosaurus rex in the room. At one level, ISIS cannot be about “Islam,” because Islam is as varied as the number of sects or even the number of adherents that claim the label, some of whom are pacifist mystics, and most of whom abide by the dictates of compassion and by the secular laws that govern the countries where they live. So, to say ISIS is about Islam is to say something far too broad and nonspecific to be either substantially true or useful. And yet, it is equally clear that the form and focus of the Islamic State are scripted by patriarchal, violent, dominionist texts contained in the Quran and Hadiths and sanctified therein, just as Christianity’s history of witch burnings and inquisitions--and modern obsessions with salvation, creationism and Armageddon—have been scripted by verses from the Bible. Passages in the Bible and Quran or Hadiths endorse holy war, subjugating or exterminating unbelievers, killing blasphemers and others who violate religious taboos, stoning adulterers, ritually slaughtering animals, sexually enslaving females, and beating children. They prescribe mutilation of criminal suspects. They record tribal “histories” that feed hatred between tribes of believers and competing entitlements in territorial disputes. They include factual inaccuracies, and exhort believers to close their minds against contradictory information. Two millennia have passed now since the first of these texts were written, and in an ideal (humble, self-reflective, growth oriented) world the “sins of scripture” would just be a painful reminder of humanity’s perennial flaws—of man’s ability to dehumanize woman and child and members of other tribes; to sanctify small-minded confirmatory thinking; and to boldly assert knowledge from a position of ignorance. Unfortunately, our spiritual ancestors were prone to another human flaw that appears to be timeless and boundless: while scorning the spiritual beliefs of their own ancestors, they insisted that they, finally had gotten God right. And through the centuries, millions of followers have concurred, putting their words above reproach or question, often on pain of death. Both the Bible and Quran include numerous exhortations against idolatry, meaning the worship of a physical object as a god or representation of a god. Pre-literate people made objects to channel reverence and symbolize their understanding of sacred realities, and over time they treated these objects as if they themselves were sacred and divine. To violate these objects was to violate the gods themselves. The writers the Bible condemn idolatry, and two biblical versions of the Ten Commandments (there are three), forbid “graven images.” When Moses finds that the people of Israel have created a golden calf, he burns it in a fire, then grinds it to dust and scatters the dust in their only drinking water. To this day, Orthodox Jews won’t even write down the word, God. It is no small irony, then, that as literacy spread and the written word triumphed over more abstract religious symbols, the very collections of words that so condemned idolatry should become Sacred Texts, the next incarnation of the Golden Calf. And yet that is exactly what happened. Medieval Bibles were encrusted with gold and precious gems, and damaging a Bible deliberately even today, is a shocking act. 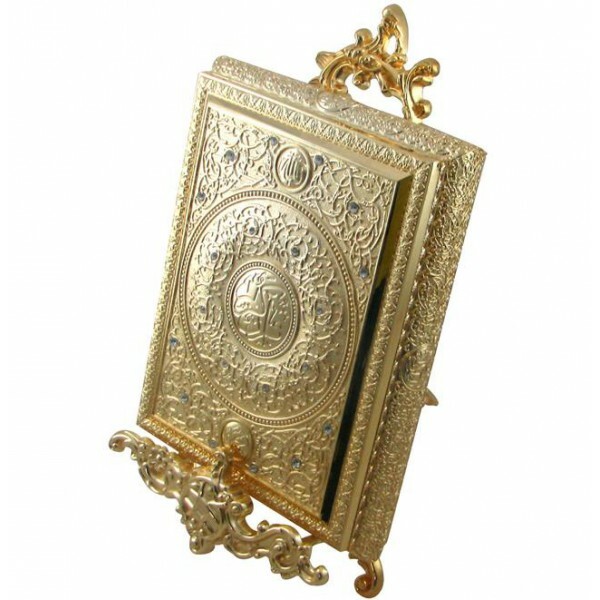 The pages of the Quran became so precious that harming one, whether through carelessness or design, turned into grounds for murder. Protestant Christians replaced the authority of the Church with the authority of the Bible. Sola Scriptura became one of the mantras of the Reformation. Scriptura means, literally, a written character or inscription. It derives from the Latin word scriber—to write. In the age of the written word, what better idol than a book? This view--that every passage in the Bible or Quran is a literally perfect “special revelation” from God—is book worship or, in theological terms, bibliolatry. And bibliolatry coupled with the Iron Age worldview of the Bible writers and Islam’s Prophet is what makes Christian and Muslim extremism so cruel. When treated as “universal messages without any limitation of time and space,” passages that endorse Iron Age intolerance and violence can elicit behaviors that would otherwise violate the (more enlightened, more knowledgeable) modern believer’s moral core. As discussed elsewhere, they do so by activating and redirecting moral emotions, scripting moral reasoning, and creating a sense of righteous certitude that overrides empathy. You should know that I acted out of my own conviction and not because I hated your son for being Dutch or for having offended me as a Moroccan. I never felt offended. And I did not know your son. I cannot accuse him of being a hypocrite. I know he was not, and I know he was true to his own personal conviction. So the whole story about me feeling offended as a Moroccan or because he had insulted me is nonsense. I acted on the basis of my belief. What is more, I said that I would have done exactly the same thing if it had been my own father or brother. . . . .And I can assure you that should I be released, I will do exactly the same over again. Beliefs dictate behavior, and strong belief is a strong dictator. Under the influence of bibliolatry, some Christian parents beat their children to death, convinced they are doing the will of God. Missionaries dedicate their lives to eradicating indigenous cultures and spiritual practices. Priests tell desperate Africans that condoms cause AIDS. And Jihadis behead infidels and stone women they perceive as loose. Each of these appalling violations of universal human values such as kindness and compassion is a case of devout believers simply obeying passages that their religious institutions and traditions have bound between the covers of an immutable book, and then called Holy. Many modernist Muslims and Christians recognize that their sacred texts are the work of human hands—a record of humanity’s long struggle to understand what is Real and what is Good. These believers knowingly embrace what they find timeless and wise in their received traditions, and treat the rest as a window into history. But in Islam, in particular, this view has been slow to take hold. Hundreds of millions of moderate Muslims and Christians claim that their sacred texts are perfect and complete without ever confronting what that actually means: that slavery, sexual slavery, torture and genocide can, under the right circumstances, be holy. That women and children are property of men. That the Golden Rule doesn’t apply to nonbelievers. And that blasphemy is a greater sin than killing the blasphemer. Most Christians and Muslims are decent and kind despite the toxic fragments of Iron Age culture that got bound up in their sacred texts, which sit in multiple copies on the shelves of churches, mosques, schools and homes. They are decent and kind in spite of book worship, not because of it. Many are mercifully oblivious to the cruel prescriptions they carry around in leather bindings. Given a bit of wiggle room or ambiguity, most people instinctively live in the ways that we must if we want thriving families and prosperous communities--by being reasonably fair and kind and honest and resolving disagreements without violence. Moral intuitions and our cultural hive-mind for the most part trump the unexamined insistence that the Sacred Texts are perfect. Hundreds of millions of believers cherry pick, wisely elevating the best and shunning the worst in their respective traditions, even as they loudly proclaim otherwise, denying their own ability and responsibility to separate the wheat from the chaff. They form spiritual communities around sets of values and practices that overlap with the Iron Age prescriptions of the Quran and Bible only in part. But the refusal of moderate believers to acknowledge what they subconsciously know—that their sacred texts are incomplete and imperfect—has enormous costs. As long as broad communities of faith continue to endorse the idea that the Quran and Bible are perfect and complete revelations from God, then the Iron Age texts they contain will continue, under the right combination of circumstances, to give rise to the Iron Age behaviors that the texts endorse. Like those of ISIS. Passages in the Bible and Quran or Hadiths endorse holy war, subjugating or exterminating unbelievers, killing blasphemers and others who violate religious taboos, stoning adulterers, ritually slaughtering animals, sexually enslaving females, and beating children.ISIS has Islam wrong. What they do violates Islam. The problem isn’t Islam, but extremism. We’ve all heard the arguments. What the speaker inevitably means is “What they do violates my Islam” or “What they do violates what I see as Islam’s highest ideals.” And from his or her own vantage, the speaker is right. But if moderate Muslims claim that the Quran is beyond criticism, as a package, then they can no more assert that ISIS is a perversion of faith than ISIS can assert the reverse. Only when people acknowledge some higher ethical principles and empirical standards against which to measure the teachings of our ancestors—and only when we acknowledge that some passages measured against these standards are found wanting—does anyone have a basis for faulting ISIS or Christian Fundamentalists on the grounds that they have gotten Islam or Christianity wrong. What might some of these standards be? Seek and you shall find, said one Bible writer. One doesn’t have to seek very hard to find metrics by which to judge the most destructive passages in the Bible and Quran. Often, in fact, it is a matter of flipping a few pages. In both religions, the most harmful passages violate others contained in the same bindings. God is love, says the Bible. Islam is peace, say the Hadiths. Generosity, forgiveness, kindness, moderation, compassion . . . in their better moments the writers of the Bible and Quran extolled each of these. The problem isn't religious extremism. What pursuit could possibly be more worthy of extreme devotion than humanity’s spiritual quest--our multi-millennial mission to discover what is real and what is good, how to live well and how to die well? No, the problem isn’t extremism. The problem is this: The one endeavor that most merits extreme dedication has become stagnant and stunted, bound by a finite and imperfect communications technology, the written word, to a time of tribalism, brutality, and ignorance. Our Iron Age ancestors were born into an age when the written word was a technological advance and the scientific method had yet to be discovered. They glimpsed enduring truths “through a glass darkly,” meaning through the haze of their own cultures and human failings—much as we do today, but without the extra 2000 years of learning and discovery. Ironically, the Iron Age writers of the Bible and Quran were ahead of many of their modern followers in one way. They not only condemned idolatry in writing, they rejected it in their own lives. Each of them, in his own way, grasped that received traditions can and must be examined. Each took the package he received, whether based in text or oral tradition, and wrestled with it, and then offered up what he believed was an improvement, a better understanding of God and goodness. Were it not so, each would have been a scribe, not a writer. Many scribes came later, whole generations in fact, but their names (and thoughts) are mostly lost to us. In both Islam and Christianity, the real respect--the place in history—has gone to those who reformed the religious traditions they received. When considered within the long moral arc of history, it is quite likely that the writers of the Bible and Quran did indeed improve on their received traditions. Certainly, they got a lot of things right. But they also got a lot wrong. The record we have of their spiritual quest mixes bits of enduring wisdom with irrelevancies, factual errors, fragments of culture, and moral atrocity. An honest look at their writings poses a difficult choice for modern men and women who seek to follow in their footsteps: You can honor their answers or you can honor their quest. But you cannot do both.